Many horses, especially older horses, develop arthritis (aka: degenerative joint disease or DJD), one of the most common equine ailments. Just as with people, arthritis in horses is a painful condition and can make moving about difficult. There is no cure for arthritis, but with proper diet and care and a regular routine of light-to-moderate exercise, the symptoms can be managed. In this article, we examine the types and causes of arthritis in horses and provide sound advice on how to manage it. Read on to learn more. 1 Is There More Than One Kind Of Arthritis? 2 What Are The Symptoms Of Arthritis? 4 How Can You Treat Arthritis In Horse? 5 Is Exercise Really A Good Idea For A Horse With Arthritis? Is There More Than One Kind Of Arthritis? Osteoarthritis is most common and typically comes on gradually as the cartilage between joints wears down. This can cause pain and lameness. Rheumatoid arthritis (autoimmune reactive arthritis) is common in people but is not often seen in horses. Septic arthritis is a different type of arthritis that comes on suddenly. It is caused by bacterial infection and affects the immune system. This form of arthritis is very hard to treat because it is caused by infection in the joint and an excessive response from the immune system. Young foals often develop this type of arthritis. It can also be caused by a serious injury near a joint. Swollen joints are common. Typically, a horse will begin developing arthritis in the knees, hocks and pasterns. Lameness is the result of swollen and painful joints. Difficulty flexing the affected joints. Heat and tenderness around the joints. If your horse is experiencing any of the symptoms listed above, you must call on your vet for a complete exam and diagnosis. Your vet may want to take x-rays to determine whether or not your horse has arthritis and (if so) how severe the condition is. How Can You Treat Arthritis In Horse? Your vet may prescribe a course of non-steroidal anti-inflammatory drugs (NSAIDS) to reduce inflammation and swelling and manage pain. Joint supplements, such as glucosamine, may be added to feed. Discuss an anti-inflammatory feeding plan with your vet. Corticosteroids or hyaluronic acid may be injected directly into the affected joints to provide relief. Recently some work has been done involving injecting stem cells into arthritic joints. This option may soon be available to vets. 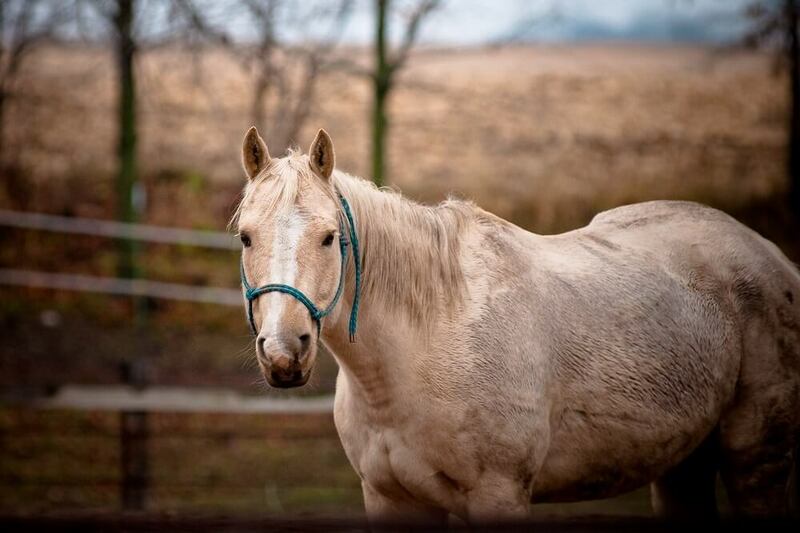 Is Exercise Really A Good Idea For A Horse With Arthritis? Stall rest is actually the worst treatment for arthritis as immobility only makes pain and stiffness worse. Maintaining a regular course of light-to-moderate exercise is very helpful. 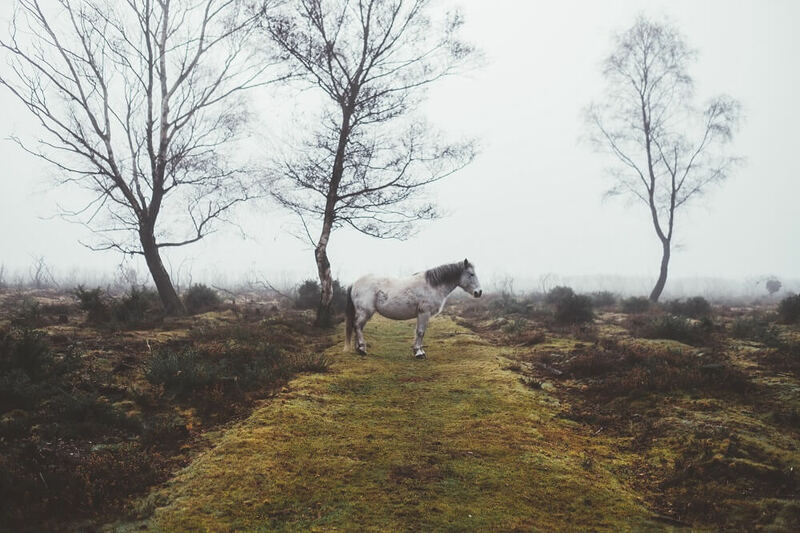 Naturally, if your horse is lame or in pain you should not ride, but do take him on walks and allow him plenty of turnout time to move around naturally. and this helps support the joints and keeps them stable. Keep your horse at the right weight. Just as with people, excess weight causes stress on the joints, bones and feet. Keep a close eye on your horse’s weight, and adjust his feeding and activity level to prevent obesity. Talk with your vet about the best types of feed and hay for your horse. We do not say we put old horses “out to pasture” for no reason. Being out to pasture is the best thing for an older, arthritic horse. 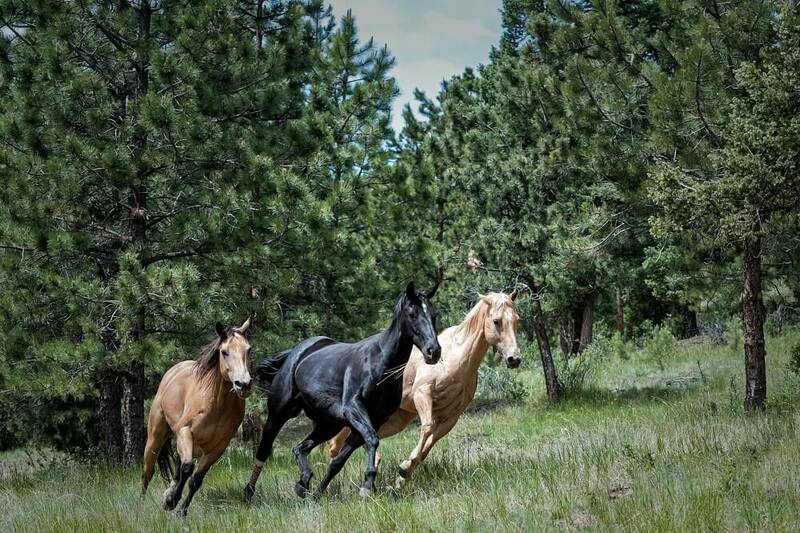 Being able to move around freely provides natural exercise at the horse’s own pace. Furthermore, a diet made up mostly of fresh grass is the healthiest, most anti-inflammatory diet a horse could have. Be sure to keep an eye on pasture-mates, though. Horses are always vying to adjust the pecking order. If younger horses realize that your old horse is not as quick and strong as he once was, he could be bullied or chased. If this happens, establish a smaller turnout area with better matched companions, if possible. Alternately, adjust turnout times so that your older horse does not have to share his turnout space with bullies. Keep your horse as active as you can because regular exercise stimulates good blood circulation. This is a natural way to reduce inflammation. Remember that, as with every aspect of horse care, your horse is an individual. Watch him closely and adjust your plans as necessary to accommodate his needs. Keep your horse’s hooves properly trimmed. Regular hoof care is always a good idea, but it is especially important for horses who have arthritis because properly trimmed hooves produce less stress on the joints. Long hooves can cause twist and torque. This is especially true of cracked or broken hooves. Make sure your arthritic horse has secure footing. Avoid hard surfaces and uneven or gravelly terrain. These surfaces jar the joints and may harm the hooves. For riding or going for walks, you may wish to purchase a set of hoof boots to provide cushioning and support. Proper feeding and care throughout your horse’s life can help prevent the development of arthritis. If arthritis does develop, early, consistent intervention helps ensure successful management of symptoms. By keeping a close eye on your horse and responding correctly to his symptoms when you perceive them, you can get a jump on the disease and prevent a great deal of discomfort. Taking regular steps to decrease inflammation, increase joint mobility and improve the strength of the muscles surrounding the joints can go far toward mitigating the damage and pain caused by the disease. If you catch arthritis problems early on, develop a proper care routine and follow it vigilantly, you should be able to keep arthritis problems under control. With a regular course of exercise, supplements, joint therapy and/or medications, your horse can stay relatively comfortable and you may be able to continue to enjoy light riding for many years.